Nokia has announced it will be acquiring French global telecommunications company Alcatel-Lucent for the sum of $15.6 billion, under the banner Nokia Corporation. They plan to tackle 5G technology, the Internet of Things (IoT) and the increased reliance on Cloud services. The acquisition gives insight into what Nokia’s future direction might be, following the selling of its Devices and Services arm to Microsoft in late 2013. The focus is clearly aimed at providing a platform for the technical fundamentals for not only traditional mobile telecoms and its evolution into 5G, but also newer and emerging technologies. Recently rumors have emerged that Nokia are considering selling their large mapping business called ‘HERE’ and the Alcatel-Lucent acquisition adds credence to this, putting full concentration into their very profitable Nokia Networks division. Nokia may no longer be a name consumers hear about as the company transitions from phone maker to platform supplier, however it will very much likely be Nokia that is providing the data network for their future mobile device. Microsoft has announced they will rename Lync, their corporate unified communications platform, to Skype for Business in 2015. Not only will the platform have a change of name but the look and feel will also be more similar to consumer focused Skype. Microsoft purchased VOIP company Skype back in 2011 in their largest acquisition costing $8.56 billion. At the time, Microsoft’s consumer based product was MSN Live Messenger and their corporate offering was still Lync. The purchase of Skype, especially at the price paid raised many eyebrows, and questions surrounding the future of both Live Messenger and Lync. Early last year Microsoft retired Messenger globally, auto directing users to download and use Skype instead. 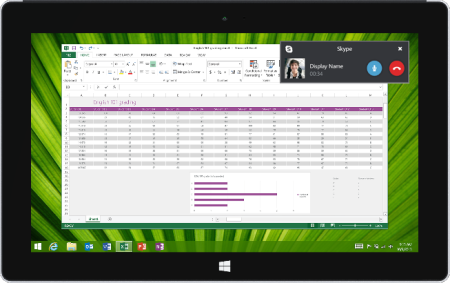 Now Lync is following suit, being replaced by the Skype brand. In its official press release Microsoft reiterated that despite the name change and look and feel of Skype for Business, users can expect the same enterprise security, compliance and control that Lync currently offers. In addition Skype for Business when it is released in the first half of 2015, will also give organisations the reach into hundreds of millions of regular Skype users outside their business. The update will not require new hardware and if your are on Office 365 the migration will be automatic. In what initially looks like yet another rebranding from Microsoft, the logic to their largest acquisition to date now makes more sense commercially with the visual interface changes also echoing Microsoft’s “one interface across all devices” approach of recent years. The new Skype strategy allows a single toolset to communicate within a company, to their partners and separately to consumers alike. All in all a very powerful move forward. Cloud driven infrastructures have changed how many businesses plan their commercial strategies and implement their own IT infrastructure. Mobile network operators however have not seen as much momentum going from traditional hosted infrastructures to a Cloud based system and this lack of forward thinking will slow down the roll out of new services. Nokia and HP have partnered to deliver NFV (Network Functions Virtualisation), based on HP’s Helion OpenStack which they announced in May 2014 with a $1 billion pledge in open Cloud products and services. 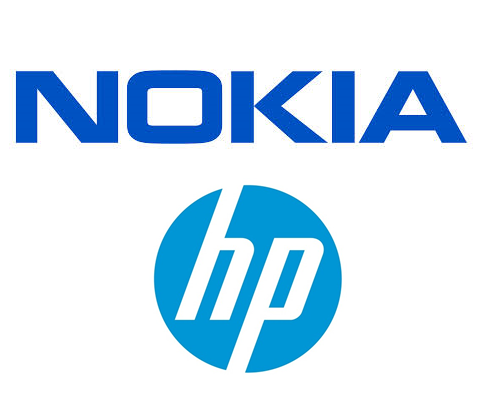 Nokia will be providing the management tools and network functions required, to deliver calls and internet access to users on HP’s platform. Nokia and HP are not the only ones fighting for this lucrative new market. Alcatel-Lucent this week also announced a suite of NFV applications and last month Dell announced their own platform. The switchover of the network that operators rely on to deliver telephony and mobile broadband, will not be quick but it is an inevitability. Whoever is the most prepared to offer a mature, secure platform for today’s dynamic and ever-changing mobile world will reap the benefits in years to come. Adobe joins the list of companies who have been successfully hacked with user data being the target. The original damage estimate was of 2.9 million accounts, but the reality turns out that the number is 38 million. Thankfully for users of Adobe’s cloud services, passwords and payment information is stored encrypted. Beyond user data there was another target, source code. Adobe has admitted that source code was accessed to their flagship product Photoshop. This attack is a sombre reminder that although user-data is incredibility important to protect you must not forget correct security around your own IP. Does Nokia’s latest tablet change the future for Windows RT? With last week’s Nokia World announcement of a Windows RT powered Nokia tablet, Nokia may be positioning itself to take the same slice of market share from Microsoft’s tablet OS that it successfully took from their phone OS. 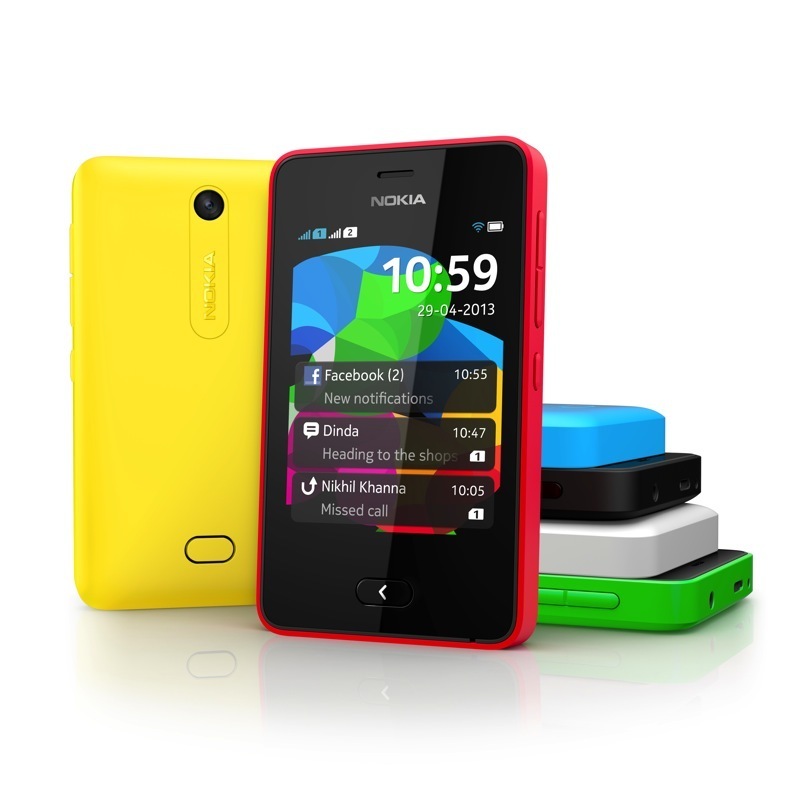 Nokia’s support of Windows Phone managed to bring Windows Phone into smart phone relevancy world wide. With other OEMs dropping support of Windows this gives Nokia the opportunity to grow its own ecosystem on a platform without challenging competition. This could of course have the same successful effect that Nokia did on Windows Phone, however this time giving Windows RT a chance in the spot light. March this year we reported Apple CEO Tim Cook announced that a new product line was set to be revealed this year, seemingly in an attempt to calm shareholders nervous from consistent falling of stock prices. Several media events later, we have seen moderate updates to their Macs, iPhone and iPads but nothing truly new. This week Tim Cook was reminded of his earlier statement by an industry analyst. The Apple CEO claimed they have already revealed “exciting new products” but suggested we would have to wait at least till 2014 to see what else Apple has been cooking. Google has announced the latest in it’s affordable, vanilla line of Android phones, the Nexus 5. The Nexus 5 sports a 5-inch 1080p screen, 8MP optical image stabilising camera, speedy snapdragon 800 processor but most importantly is also the first phone to run the newest version of Android, KitKat. This announcement also benefits from the happy coincidence that the Android platform has smashed passed 80% of worldwide phone market share, showing no signs of slowing down anytime soon. Will the market start to gain Android fatigue or are we looking at a Windows-like monopoly future for google and smartphones going forwards? Gartner reports that video use at work will be the next big adoption for businesses, governments and MSPs to get to grips with. It is anticipated that by 2015 60% of information workers will interact with content applications via a mobile device. This will force MSPs to respond with strategies supporting video on employee or company owned devices . Heterogeneity as well as mobility will be required, whilst the demand on bandwidth will likely require workers to use it at select times to cope with variable bandwidth. A new report confirms that the police are actively adopting a range of new technologies to turn data into real time intelligence. These include: electronic notebooks on scene, sensor networks for tracking, crowd behaviour software, GPS to track offenders (and even dementia patients) and miniature drones with sensors to help capture criminals. Added to this is the use of social network sites (Greater Manchester Police tweet each incident for transparency to show crime volume and type of work). Cost savings are a main driver for these changes. Ultimately, choosing the right technology to give flexibility to a business and managing it securely will provide the best business solution in this technological age. Microsoft is developing a new type of touchscreen in-house that allows the user to feel the texture of objects being displayed on screen. The same technology can also apply resistance to moving around virtual objects on screen. Virtual objects can be heavier, and thus like in real life will take more effort to swipe around. California-based Tactus has developed a touch screen that uses fluid channels which can morph the shape of the screen on the fly. This has been demoed to show how it can provide tactile feedback when using an on-screen keyboard by pushing the keys out of the screen. Both of these technologies tackle the current issues of a touchscreen-only device with uses in medical and corporate sectors. Nokia Corporation and Siemens have announced that Nokia will acquire Siemens’ 50% stake in their joint venture, Nokia Siemens Networks (NSN). The cost of total ownership is $2.2 Billion. NSN has established itself as a clear leader of LTE (4G) technology which provides an attractive growth opportunity as LTE continues to roll-out worldwide. Although Nokia is taking a large financial hit, the purchase is actually a very smart move as it simplifies their finances after making NSN a profitable venture last year which helped get Nokia back into the black, thanks to early LTE deals.